North Korea is one of the most insanely evil countries on the face of the earth. Today thousands of people are tortured, and starved to death, and this has been going on for years. We look back on the Holocaust, and say “never again” yet, there are concentration camps that have been active since the 1960’s, and nothing has been done about it. The camps’ brutal conditions suggest that they are comparable to those in the Nazi camps at Mauthausen and Buchenwald, which largely killed people through a combination of exhaustion, disease and starvation. Today there are six political prison camps in North Korea, with the size determined from satellite images. Kwan-li-so No. 22. is just one of those camps. This camp is completely isolated where prisoners and their families are held in lifelong detention. This camp is located in the northeast part of North Korea, near the border with China and Russia, and was founded in 1965 and expanded in the 1980s and 1990s. Camp 22 is huge! It covers 225 km2 (87 miles) and is surrounded by a 3300 volt electric fence and an outer barbed wire fence. In addition, there are hidden nails and traps between the two fences, contains over 1,000 guards and trained dogs, also secure the perimeter. In the 1990s, the calculated that there were around 50,000 prisoners in the camp. These people mostly criticized the government. Would you qualify for this camp? Have you spoke badly about Obama, or any part of the government in our country for that matter? North Korea also punishes 3 generations of family members who are also likely to disapprove of the gvt. Meaning, if your grandfather tried to escape, your father, and your family would be sentenced to prison. 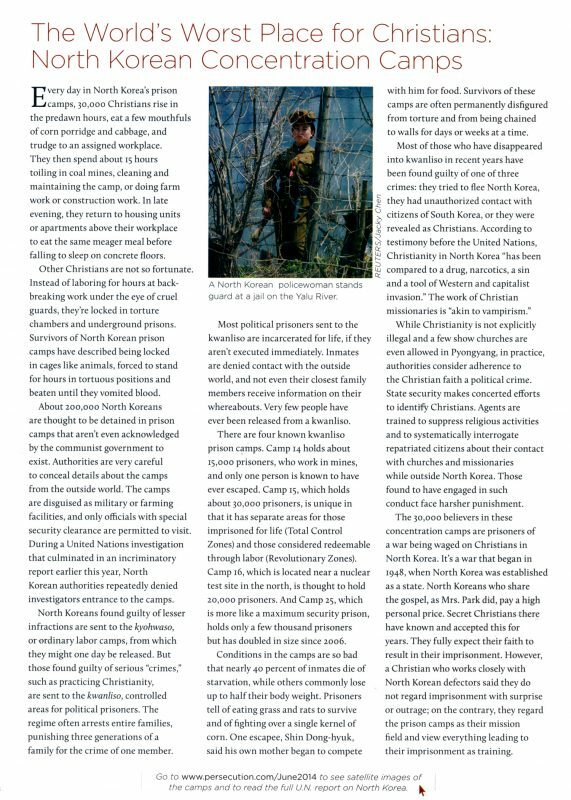 South Korean prisoners of war are also kept in this camp along with Christians. 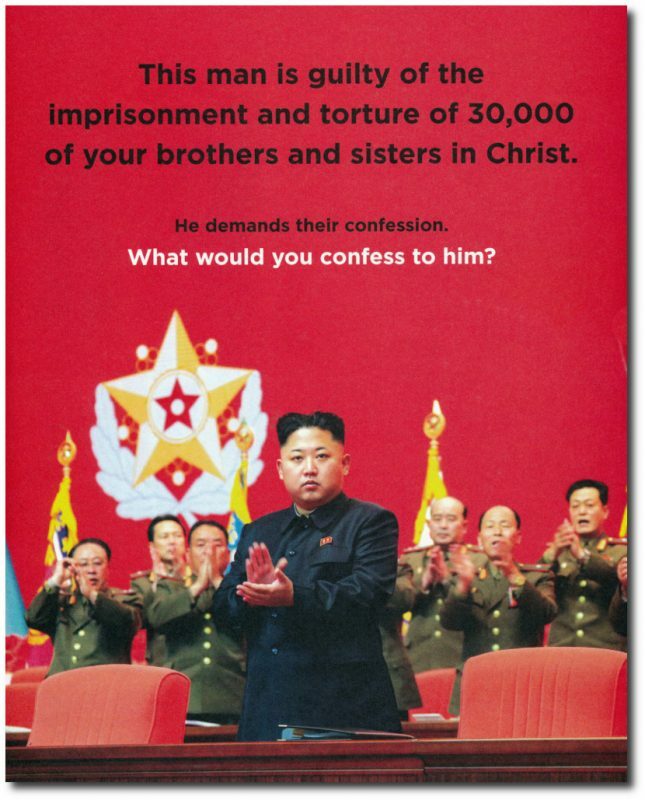 North Korea DOES not allow Christianity or freedom of religion. 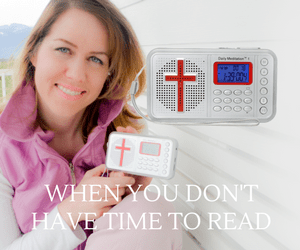 Even if someone SUSPECTS you are a Christian, you can be turned in and presumed guilty. Guilt by association sentences WHOLE families to life in prison. A former guard Ahn Myong-chol was shocked when he described the camp was harsh, and life-threatening. Prisoners Starve– Prisoners get 6.3 oz of corn per meal (two times a day). The only meat in their diets is from rats, snakes or frogs that they catch, that they find in the field, or in their cells. The former guard estimated that around 1,500–2,000 people died of starvation every year in these camps. Most people are so malnourished, their bodies looked like skeletons. I am sure we all remember the photographs seen from the Holocaust. This is happening this very moment. Prisoners Are In Bad Shape Physically – Many have deformities, such as torn off ears, smashed eyes, crooked noses, and faces covered with cuts and scars resulting from beatings and other mistreatment. This security guard says that around 2,000 prisoners he says have missing limbs, but this doesn’t affect their daily work schedule. Even prisoners who need crutches still work.Seriously ill prisoners are abandoned, and left to die. Horrible Living Conditions-Just like the Holocaust, prisoners live in bunkhouses with 100 people in a single room. These houses are made from mud, and the people have to use dirty and crowded communal toilets. Prisoners Are Worked Extremely Hard – Prisoners have to do hard physical labor in agriculture, mining and factories from 5:00 am to 8:00 pm (7:00 pm in winter). The only day off every year is New Year’s Day. This means they work 7 days a week, 14 -15 hours a day. Working in the mines over times causes prisoners to develop a black lung, where they cannot take in breaths normally. They essentially gasp for air later in life. In addition, they are not equipped with safety measures. They have to use primitive tools, such as shovels and picks, and are forced to work to exhaustion. Here are just some of the tortures that were described by officers…..
Water Tortures: Prisoners have to stand on their toes in a tank filled with water up to his nose for 24 hours. Hanging Tortures: Prisoners are stripped and hung upside down from the ceiling and violently beaten. Small Room Torture: Prisoners are detained in such a small solitary cell, where they cannot sit, but not stand or lie, for three days or a week. The room is cramped. Kneeling-Tortures: Prisoners have to kneel down with a wooden bar inserted near his knee hollows to stop blood circulation. After a week the prisoner cannot walk and many die some months later. Pigeon Torture: (See a picture of this on the top left ) Prisoners are tied to a wall with both hands behind their back, in a crouching position for many hours. There are beatings every day,if prisoners do not bow quickly or deeply enough before the guards. Prisoners are beaten if they do not work hard enough, or obey orders fast enough. It is also a frequent practice for guards to use prisoners as martial arts targets. In addition, pape and sexual violence is a common practice. Female prisoners may be killed if they resist the demands of the security officers. North Korea’s self-isolation has been a strategy that has worked for the countries gvt to prevent a political awakening by its people. So anything that brings information to their people will help. Radio broadcasts from the outside, aid workers, and journalists inside can help to bring North Korea out of solitary confinement. A 2013-2014 -11 Month Inquiry DID Nothing To Help– The United Nations Commission of Inquiry on Human Rights conducted an 11-month inquiry into the violations of human rights in North Korea. The commission has examined satellite imagery and evidence and testimonies from more than 100 victims. Unfortunately, the panel’s recommendation that North Korean leader Kim Jong Un be held accountable for his actions in an international court is unlikely to be implemented any time soon. Sanctions (Which Are Often Proposed ) Won’t Change How N.Korea Treats Their Citizens– The people of North Korea are already severely impoverished. Sanctions will likely worsen their conditions. Sanctions might temporarily force them to abandon their nuclear ambitions, but there is little reason to believe it will force them to treat their citizens better. 1. Pray- You can pray and intercede for these people daily. Prayer can do more than anything else. Stand in the gap for these people daily. Here is a bill (H.R. 1771) that is being considered. I don’t know it’s current status, but you can write to your Senators or Representatives expressing your support for H.R. 1771. Senators or Reps are listed by state on this website, which allows you to send them an email. Voice of The Martyrs have really stepped out to reach the people in this closed off country. 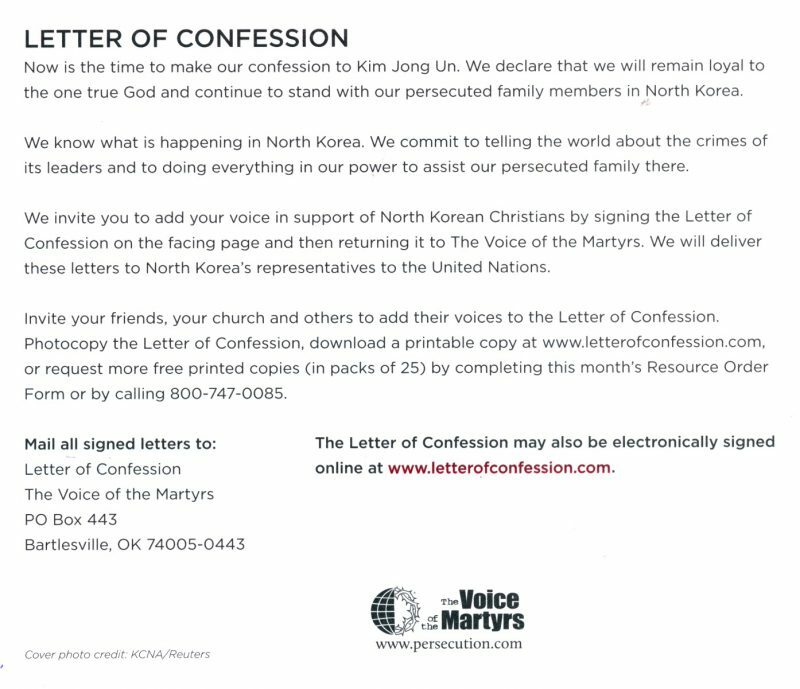 -The Voice of the Martyrs has been active in North Korea for decades, including launching tens of thousands of “Scripture Balloons,” helium filled balloons that are printed with Scripture passages and other gospel messages. Previous articleLong Lifespans Before The Flood- Is There Evidence?